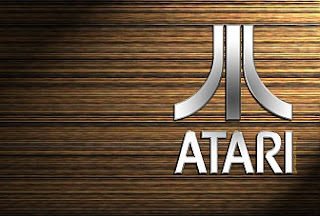 Established in 1971, by Nolan Bushnell and Ted Dabney as Syzygy Engineering, Atari went on to become a household name in the gaming business. It started out making arcade games, then made its way into people’s homes, and can easily be credited for building the foundation for home consoles. 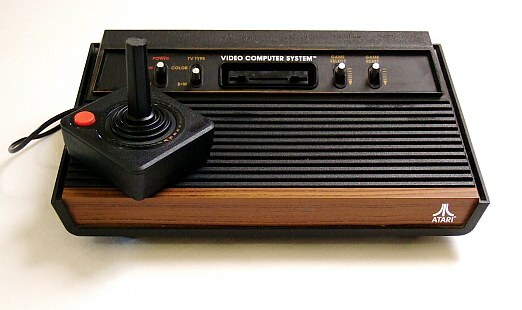 To make a long and boring story short, Atari's Nolan Bushnell is said to have stolen Ralph Bare’s idea for a little game known as Pong and started selling it as an arcade game around the same time that Bare released the game as a home console called the Magnavox Odyssey. The most successful people in the world of technology are the ones who have stolen other people’s ideas. Steve Jobs and Bill Gates are notoriously considered exponents of this maxim. Well, after the success and fall of the arcades, the next logical step was to enter the average man’s household. That's what Atari did with the Atari 2600. But, was that a move in the right direction? Mistake 1: Selling Atari to Warner Brothers: To make this dream into a reality, it seemed like a good idea for Nolan Bushnell to sell Atari to Warner Brothers. For launching the system, Warner got rid of Nolan and brought in Ray Kassar. Some of us in today’s world are lucky enough to have jobs we love. We occasionally walk into office in track pants and play a bit of Mortal Kombat before beginning our day. What if this culture was disrupted? Our tech-loving productivity would be in turmoil! And, that's what happened to Atari. Mistake 2: Getting a corporate veteran, Ray Kassar to run a video-game company may have seemed like a good idea. Rules were put into place and deadlines had to be met. But, making video games isn’t like a bank job. It is a creative field driven by imagination and culture, not rules. There was a cultural clash between the management and the designers and hit the point of no return. Apart from having to wears socks to office, the designers and developers of the games were not given credit for their work. No royalty was paid to them, there was lack of motivation, their names were not put in the credits and making video games suddenly wasn't an awesome job anymore. Some senior game designers left Atari and formed a small company of their own known as Activision, you will probably recognize this name as it is the publishing house for some awesome games like Call of Duty and World of Warcraft. Seeing this, every nut-head who thought he was a geek, decided to make video games. The market was so flooded with terrible games that it was difficult to distinguish the good from the bad that ultimately led to the crash of the video game market in 1982. After a lot of restructuring, failed reboots, and lawsuits, Atari eventually became a division of Hasbro in 1998, then a part of IESA in 2001. IESA changed its name to Atari, SA, in 2009 and Bushnell returned to serve on the company's board in 2010. Fun Fact: The late Steve Jobs and Steve Wozniak developed a game called Breakout for Atari. Yes, it is true, the founder of Apple worked for Atari and since he wasn't a programmer himself, took help from his dear friend and co-founder of Apple, Steve “Woz” Wozniak. Atari got the ball rolling for the world of gaming, as we know it today. I was one of the fortunate few who not only witnessed the arcades in their original form but also owned an Atari 2600 as well. Some of my best and worst moments are listed below. All the above five mentioned games were great as arcade classics and even on some consoles. However, the hardware of the Atari 2600 just wasn't right to translate these arcade classics onto the home system. Thanks @garlie charls for your comment. Lets see the future of Windows. may be the newest smartphone platform, but it has already taken significant market share and poses a big competitive threat ti iPhone, Android, and BlackBerry.